What Is Your Chocolate IQ? Calling all chocoholics! You claim a love for chocolate, but how much do you really know about the indulgence? See if you are a true cacao connoisseur or an uninformed fan with this quiz covering the history of chocolate, how it’s made and its intense chemistry. Which civilization introduced cacao to Europeans in the 16th century? C. Christopher Columbus confiscated cacao beans from the Aztecs in 1502, but he didn’t realize their value. Two decades later, Spanish conquistador Hernando Cortez brought cacao beans back to Europe, along with the Aztec custom of drinking chocolate. Prior to the Aztecs, both the Mayan and Olmec civilizations in Mesoamerica drank cacao. When the shell of the cacao bean is removed, what is the name for the part that is left? D. The “nib” is the “meat” of the bean. It is ground up to make chocolate liquor, which is then pressed to extract the cacao butter (a pure vegetable fat). The remaining solids are pulverized to make cacao powder. Why is the first product made in chocolate processing called “chocolate liquor”? A. Chocolate liquor is totally nonalcoholic. It also goes by the name of “unsweetened chocolate” when molded and sold. Today, which part of the world produces almost three-fourths of the world’s cacao? C. The International Cocoa Organization reports that Africa’s share of the world’s cacao production was 72 percent in 2011-2012. The Americas accounted for 14 percent of world cacao production; the Asia/Oceania region accounted for 15 percent. Which of these is not one of the three main varieties of cacao beans used to make chocolate? B. Found in Central America, the rare Criollo tree produces cacao beans prized for their complex secondary flavors and lack of bitterness. The Forastero is originally from the Amazon region but now grows in West Africa as well and accounts for some 80 percent of world production. Trinitario is a hybrid between Criollo and Forastero. Robusta is a coffee bean variety. Which of these factors impacts the quality of cacao delivered to a chocolate maker? D. Genetics include the variety of cacao tree. Terroir — or soil and climate — influences cacao flavor, just as it does with wine. Different methods for harvesting, as well as for fermenting and drying, also impact the quality and flavor of the cacao delivered to a chocolate manufacturer. Most chocolate makers buy from a variety of sources to create a proprietary blend of beans. U.S. Food and Drug Administration standards require chocolate liquor (or unsweetened chocolate) to total what minimum percentage of weight in bittersweet or semisweet chocolate? B. FDA “standards of identity” require bittersweet chocolate to have at least 35 percent cacao content and less than 12 percent milk solids. FDA standards require chocolate liquor (or unsweetened chocolate) to total what minimum percentage of weight in milk chocolate? C. FDA “standards of identity” require milk chocolate to have at least 10 percent cacao content, a minimum of 3.39 percent milk fat and a minimum of 12 percent milk solids. FDA standards require cacao butter to total what minimum percentage of weight in white chocolate? B. FDA “standards of identity” require white chocolate to have at least 20 percent cacao butter, 14 percent milk solids and 3.5 percent milk fat. However, prior to 2008 there were no legal standards to define white chocolate. Which of these chemicals in chocolate is known as a “love drug”? A. Also called PEA, phenylethylamine triggers release of the neurochemicals epinephrine and dopamine and creates the giddiness and high associated with moments of passion. What chemical in chocolate is toxic to dogs? B. Dogs metabolize theobromine much more slowly than humans. Small amounts can cause vomiting and diarrhea; toxic amounts can induce hyperactivity, seizures and cardiac arrest, among other potentially fatal effects. Theobromine is also toxic to cats, but cats tend to turn up their noses to chocolate and avoid the risk. Who is the author of Charlie and the Chocolate Factory? C. British author Roald Dahl published Charlie and the Chocolate Factory in 1964. Cacao is naturally acidic. What is the name for cacao treated with an alkali? A. “Dutched” refers to the nationality of the chocolate maker, Coenraad Johannes van Houten, who developed the process to neutralize the acidity of natural cacao. Dutched cocoa is milder in flavor than natural cacao. Because it is neutralized, it does not react with baking soda and must be used in recipes calling for baking powder. Which step in chocolate processing is most connected to the desired glossy finish or sheen? D. Tempering is one of the final steps in chocolate production. Just before it is molded, chocolate undergoes a heating and cooling process that causes the processed cocoa butter to harden into a tight, uniform crystalline pattern that provides the sheen. What word do chocolate connoisseurs use to refer to the sound chocolate makes when broken? B. The snap reveals much about the chocolate’s texture. The amount and quality of the cocoa butter in the chocolate, how finely ground the chocolate particles are and how well the chocolate was tempered all affect snap. Because of their higher milk and butterfat content, white and milk chocolate have a gentler snap than dark or semisweet chocolate. To keep chocolate at its delectable best, wrap it tightly and store in a cool, dry place. Ideal conditions are between 60 and 75 degrees Fahrenheit and less than 50 percent humidity. When the storage temperature exceeds 75 F, the cocoa butter in the chocolate separates and rises to the surface, causing white streaks or dots, known as “fat bloom.” When the humidity is higher than 50 percent, the problem is “sugar bloom,” which has a similar appearance to fat bloom but is caused by the crystallization of the chocolate’s sugar. Sugar bloom also occurs when cold chocolate is moved to a warmer temperature, which is why it’s not a good idea to put chocolate in a refrigerator or freezer. If a piece of chocolate does bloom, through either process, there’s no need to toss it. The appearance might be compromised, but bloom has minimal impact on taste. 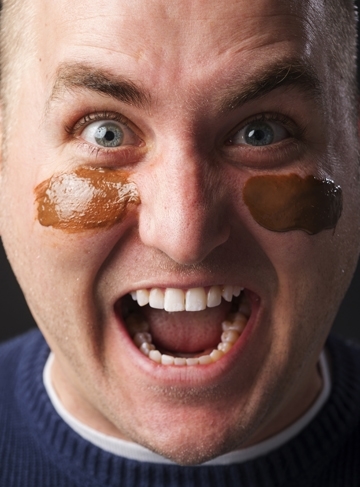 Remember that chocolate can absorb odors, so be sure to wrap it up and keep it away from anything with a strong scent. Chocolate comes from the cacao bean, which grows on the Theobroma cacao tree. The beans are ground and then pressed to extract cacao powder and cacao butter. Chocolate is produced by forming an emulsion of the cacao butter and powder, to which dairy products such as milk and butter are added. There is no distinct difference in the grading of chocolate as it pertains to the bean it’s derived from. The quality of chocolate depends on the blend of beans used and the quality of other ingredients that go into the making of each brand. The process of melting and cooling chocolate to form beta crystals is called tempering. The tempering process is necessary for sculpting chocolate and making confections. Never allow water to come in direct contact with chocolate. Water will break the emulsion and separate the fats from the dry solids, turning your ganache into a gritty, lumpy mass. Don’t overheat chocolate; it will lose its sheen once it gets too hot. There is just something about chocolate that makes it so irresistibly satisfying. From the first taste and the instant “Mmm,” your body relaxes, your eyes close and your taste buds come alive as cocoa and sugar awaken your senses. It’s only a few seconds of bliss … until the next bite. Excessive consumption of chocolate is a habit full of negative consequences. From obesity to an increased risk of diabetes, the sugary treat can be a contributor. But there are some positive health benefits of chocolate because of its ingredients, according to Dr. William Fay, a cardiologist at University of Missouri Health Care and professor of internal medicine and director of cardiovascular medicine at the MU School of Medicine. Like many products made from plants, chocolate is rich in flavonoids, naturally occurring antioxidants in the cacao trees that produce cacao beans. One type of flavonol that is abundant in chocolate is epicatechin, which has been shown to have beneficial effects such as decreasing the risk of heart attack and stroke, Fay says. Fay points out that research indicates some types of chocolate provide more health benefits than others do. Some studies have suggested that dark chocolate may be healthier than milk chocolate or white chocolate. These studies show that dark chocolate’s higher content of heart-healthy flavonols make it a potentially healthier option, Fay says. But when it comes to chocolate or any other indulgence, the doctor’s wisdom echoes a tried-and-true dietary maxim: moderation. 1. Try to eat more dark chocolate than white or milk chocolate. 2. Link a chocolate treat to another heart-healthy activity, like a brisk walk. 3. Limit your consumption if you’re overweight or have diabetes. 4. When you do eat chocolate, consume only in moderation. If you could teach people just one thing about chocolate, what would it be? The pastry lover in me would love to teach people how to make a proper chocolate ganache [made from cream and melted chocolate]. If pastry makers or home bakers would begin to experiment with making ganaches as the topping for cakes, cupcakes, doughnuts, cheesecakes and other baked goods, I would be one happy customer! This is a tough one, because I have never been sad watching others enjoy chocolate. I guess, though, when I see someone enjoying the chocolates I have made, I wish they would smell the chocolate before they put it into their mouths. A person will taste so much more of what chocolate has to offer if they consume it through the olfactory senses first before the gustatory perception. It is just like wine: Smell before you taste. What is the most peculiar chocolate product or pairing you’ve tried — and liked? I did a chocolate-covered pancetta [an Italian meat cured like bacon but not smoked] and really liked it. However, I had the toughest time convincing people to try it, so the chocolate pancetta had one of the shortest production lives of any confection in The Candy Factory’s history, despite being so very delicious. Do you have a special memory involving a gift of chocolate? In February of 2002, my junior year of college, I attended Baylor University and was dating a girl named Amy Benedetto. Each year at the Valentine’s holiday, I would go back home to Columbia for the week and help my family make chocolate-covered strawberries at The Candy Factory. That particular year, I really wanted to get back to Baylor and see my girlfriend, so I made all the necessary flight arrangements and procured a last-minute ride from Austin to Waco and made it back minutes before midnight on Valentine’s Day to give Amy a box of chocolate-covered strawberries I had made earlier that day. Amy was thrilled to see me and equally thrilled to receive the gift of chocolate-covered strawberries for Valentine’s Day. After she ate a couple of the chocolate strawberries, she asked me, “You can make these anytime you would like?” I told her I could. Years later, Amy agreed to marry me, but I think she made up her mind that night in February 2002 — before I ever asked — that she would marry me! Chocolate is made by only a small number of companies like us; most companies buy premade chocolate. When they are eating chocolate that is mostly sugar. Most mass-produced chocolate fits that definition. If you could travel back in time, what moment in chocolate history would you like to see and why? I would like to see the creation of the conching process [a step that follows mixing all of the chocolate’s ingredients and results in each particle of chocolate becoming coated with cocoa butter], supposedly invented by accident by R. Lindt. What is the most peculiar chocolate product or pairing you’ve tried … and liked? Our Mocha OMG [a chocolate bar made with espresso coffee beans] with a semisweet Missouri white wine. It worked! 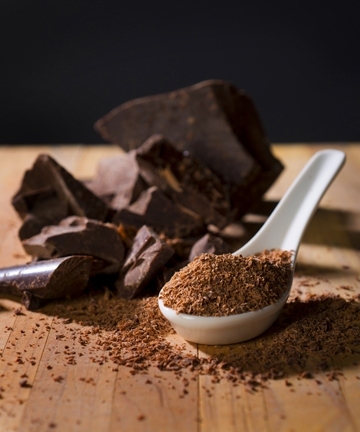 About 10 years ago, the chocolate industry saw a demand for “high cocoa content” chocolate. Is this still a trend? What other trends are impacting the chocolate market? It is still a trend, but most chocolate on the market is still mostly sugar. Cacao — the Spanish translation of kakaw, an Olmec word for the fruit of the Theobroma cacao tree — refers to raw chocolate products. The Anglicized word “cocoa” usually references manufactured cacao products, particularly cocoa powder found on grocery store shelves.